This applies to: 2004-2009 Cadillac SRX with the Northstar(LH2) 4.6 V8. If you have any questions PM me, I am more than willing to help out a fellow Cadillac owner. USUAL DISCLAIMERS: Work at your own risk, this is simply a guide to help point you in the proper direction. SO PLEASE BE CAREFUL AND PLEASE READ THIS IN ITS ENTIRETY BEFORE STARTING WORK. Along the way I swore, I got dirt in my eyes, I did a cooling system service, I replaced some sensors, I changed the oil, I replaced hoses, I removed the radiator to clean debris from it, and I changed the rear diff fluid. All I can say is this: I love this Cadillac, it may have a couple issues, but what car doesn't? This car is light-years ahead of other cars in its era, and I'm proud to own GM. Now onto the task at hand. Let's dive into this gasket replacement. Gather the tools: I used the Fel-Pro VS 50728 R Permadry gaskets. 10mm will be used on coil packs, valve cover bolts, power steering reservoir mounts, ground strap bolt, battery tray. •	sturdy piece of wood to lift engine. I'm sure there are other tools that would make this job easier, but these will get you started. The first thing I did was the drivers side. That will be post #2. The following will be in reference to the DRIVERS SIDE (LEFT SIDE) valve cover. First thing first is to put the car up on at least one jack stand (per side you work on) OR put the entire front on jack stands OR drive the car up on ramps. I did all the work without removing the tires while it was on ramps. I am 6' 6" tall, and having the car on ramps makes it easier for me to work on. By putting the car on jack stands, you can remove the front tires to aid in removing the wiring harness and oil dipstick bolt (driver side) or aid in removing the bolts that hold the wiring harness bracket (passenger side). I did both of these with the tires on. Removing the driver side tire would have made it easier for the wiring harness access, so it is your call. Self-explanatory. 4x18mm bolts and it’s off. Let’s tackle that pesky oil dipstick tube. To get the oil dipstick tube undone, use some extensions that lead into a wobble attachment and a 15mm short socket at the end. You will use this for more than just the oil dipstick tube on the driver's side, keep that in mind. The oil dipstick tube bolt is up in between the engine and frame. This was only accessible for me by laying under the car with my head essentially under the driver’s front rotor. From there I finagled the socket with its many extensions into the cavity and got the socket on the bolt. Here is a picture of where the dipstick tube bolt is if you’re looking from the top of the engine. Also, I have outlined where the retainer for the wiring harness is directly next to the bolt. While you are under the car, unplug the oil level sensor, and take the wiring harness out of its retainer next to the drive axle and make sure it has SOME slack to it. This is a picture of the oil level sensor and the wire harness retainer that is next to the drive axle on the driver’s side. Back up top, remove the air intake duct. Undo the clamp on the intake, and the clamp on the MAF then pull it out and set aside. At this time, also remove the PCV pipe and set that aside. With the air intake tube removed, you have access to the 10mm nuts that holds the power steering reservoir on. Remove the two nuts that hold it on. A short extension with a long 10mm socket is perfect here. The reservoir does not need to be completely removed, just loosened so the wiring harness that runs behind it can come free. Here is a picture of the general nut locations. **The wiring harness that runs along the intake (with the injector plugs) has one section that routes over the top of the valve cover, then routes down next to the oil filler cap, then next to the oil dipstick tube, and then down to the lower parts of the engine. This is connected to the oil level sensor that was unplugged earlier and a couple other sensors. This wiring harness proved to be very complicated if you wanted to disconnect EVERY connector it leads to. If you have disconnected the oil level sensor and other retainer previously mentioned, there should be some slack to that section now. To finish this wiring harness retainer removal, unplug each injector, ignition coil pack connector, the cam sensors, Mass airflow sensor, and the throttle body electrical connector. Everything that is attached to that harness basically. With all of that undone, and the power steering reservoir loose, you can easily pull the whole harness up and out of the way. BUT not completely disconnected below. So don't be too rough on it. By doing this, the valve cover will simply slide out from underneath the harness with ample room. Now that the harness removal portion is out of the way, go ahead and take the four 10mm bolts out of the coil pack on top of the valve cover. This should be removed to aid in ease of removing the cover. The long bolts are pesky as you can’t get a socket on them. Instead use an open end wrench to get them. This is a pic of the ignition coil bolt locations. It is the passenger side, but same for the drivers, just angled and flipped differently. Once that ignition pack is out of the way, start undoing some bolts! You will need to use a combination of different length sockets and wobble's to get them all. But it is possible. I found a long extension with a wobble then a short 10mm to be perfect with the bolts that are on the bottom of the cover. The ground strap bolt is also 10mm, and that also has to be disconnected to take the cover out. Engine side cleaning: Carefully clean around the edge of where the gasket sits. I used a clean LINT FREE soft rag. A microfiber towel I had worked perfect. I wiped along the aluminum and made sure it was clean and checked for any rough spots etc. Anything that looked dirty or didn't clean well, I used a gasket scraper (not a razor blade=too sharp) with a little brake cleaner if it was really tough, and it cleaned right up. It looked really good, and cleaned up with minimal effort. 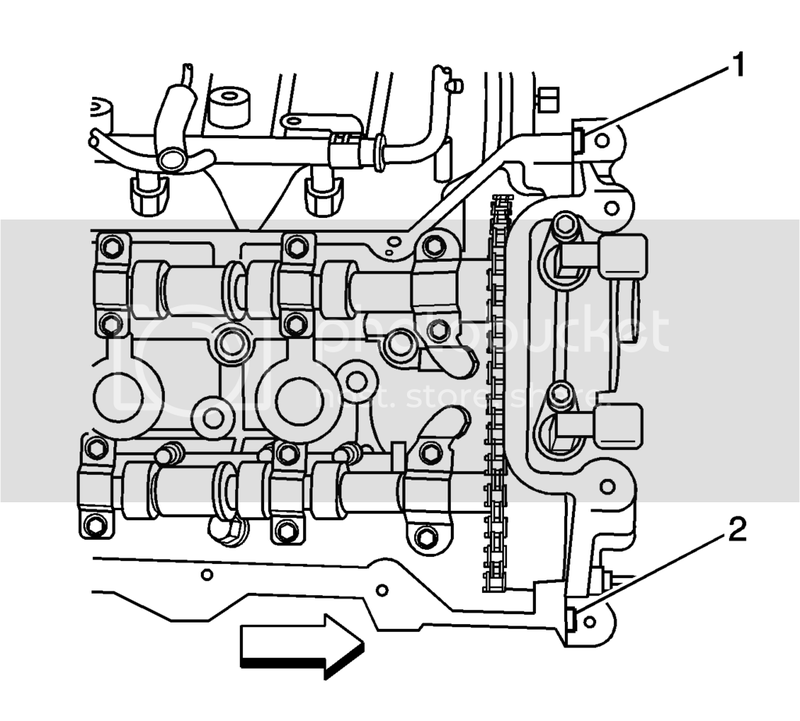 Valve cover cleaning: The valve cover itself should have the four spark plug port seals removed, and the gasket removed at this point. Once I took those off, I cleaned the exterior of the valve cover with a rag and some WD-40. On the inside of the cover, there was essentially zero grime/oil, clean as needed. Once that is taken care of, take a clean lint free rag, and wipe inside the lip where the gaskets will seat. Take your time here and make sure you clean it up well. I used a little bit of brake cleaner sprayed onto the rag if there were any rough spots and it cleaned up easily. With the gasket lip clean, you can set in place your new gasket and Spark plug tube seals. Push the gaskets into place, you'll know when it is set in place properly as they fit snug. I had no issue with them falling out or anything like that when it came to re-install. I’m pretty sure you can only really install them one way. Once everything is tidy & clean, and the bolts have threadlocker on them, carefully set it back into position on the head. Once it is back into position, take a moment to check the gasket and plug ports to make sure they didn't come undone anywhere. The last thing you want is a plug port seal that slid off. If everything looks good, grab some RTV or some kind of high quality gasket maker and put a bit at the top and bottom corners where there was gasket material previously. This is where the factory had some gasket maker so I put some back in the same spot. See this pic as to where I put this gasket material. This is where I had my worst leak for the cover, however it was on the lower side. That is a picture of the upper side. After the RTV is applied, start threading the bolts into the cover. Make sure none are cross threaded. Once they are all finger tight, start tightening them from the middle and work outwards IN STEPS tightening down the cover evenly. I tightened/torqued them a total of seven times to make sure I had even pressure. I also went in gradual steps of greater torque. This assures for a proper seal across the whole cover. But, I have heard from many that the bolts used on the valve covers are designed to prevent 'over torque' you see what I mean from the pick, as in the thread is limited, so the bolts will stop at a certain point. I don't know what the torque is if they are fully tightened but you can only tighten them so much before it stops completely. Once the Bolts are all in and tightened, DO NOT START THE CAR for 24 hours. I say this because it is best for that loc-tite to set up for a while. Does it have to be 24 hours?? Probably not, but I had the time so I let it sit for a while before starting it. With the new gasket on and the cover installed, put everything back together on the drivers side. Put the wiring harness back in place using the retainers, plug in the injectors, plug in the throttle body connector, MAF, exhaust/intake cam sensor, oil pan sensor underneath, and put all the wiring harness holders back in place, and put the oil dipstick bolt back in place. That one wasn’t so bad. Took me two hours with photos, dinner break, and never having done it before. There was also a parts store runs for thread locker and brake cleaner. I could do it again in 45 minutes easy. Next is on to the dreaded PASSENGER SIDE!! NOOOOOOOOOOOOOOOO! Kidding! It’s not that bad. 3redlines and 3redlines like this. This is more involved than the driver's side, but it is doable. Some of the steps are the same as the driver’s side such as the coil pack removal and parts of the wiring harness removal. Use common sense here. *Remove the battery tray assembly. *Remove the bolts securing the wiring harness bracket to the right cylinder head. *Remove the right side engine mount nut. Disconnect the wire harness retainers from the generator housing. *Disconnect the cable harness clips at the front of the camshaft cover and position the cable harness aside. *Disconnect the transmission control module (TCM) electrical connector. *Disconnect the C101 and C105 electrical connectors and position the electrical wiring harness aside. Remove the bank 1 intake and exhaust camshaft position sensors. *Place a suitable floor jack with a block of wood under the oil pan and carefully raise the right side of the engine. *Remove the bolt connecting the ground strap to the right camshaft cover. *Remove the camshaft cover bolts. *Discard the camshaft cover gasket, spark plug port seals, and mounting bolt grommets if there is any evidence of damage or if the camshaft cover gasket comes out of the groove in the cover during removal. Seems simple enough, right? Well it is daunting, but we can do it! And remember “no leaks, no leaks, no leaks, no leaks” is the reason we do this. The battery tray is up first. And yes, removing this does make the job easier. Disconnect the battery terminals and finagle the battery out of there. It will slide out if you get the angle just right. Next step is to undo all the bolts (10mm) that hold the battery tray in place. There are a total of 11 bolts that hold it in. There are two hidden ones under the cabin air filter access panel. They are small bolts, (9/32). Once all those bolts are taken out, the battery tray panel will come out but you need to be careful, it is a tight fit. I worked the side closest to fender free first, then managed to carefully inch it out by twisting and prying gently. They are 15mm bolts. Use our fancy extensions/wobbles to get those bad boys undone. One of them was on really tight for me, and I was worried about stripping it, but it came undone with patience and a good hold. USE A SIX POINT 15mm. Once those are undone, and the metal bracket is loose you can unhook the wiring harness loom from the bracket by raising the locking tabs up, and it will slide apart easily. This is necessary to get enough slack in the wiring harness. The TCM connector that is directly below the fuse panel has one connector plugged into it that needs to be unhooked so the harness can lift WAY UP out of the way for the cover removal. The following three photos are of the wiring harness disconnected and out of the way, then of the TCM connection, then the TCM connector re-wrapped to protect the pins. Also, the cam sensors, magnets, and other sensors need to be unplugged that are part of the harnesses to make slack for the cover removal. You need to undo the nut that holds the right front motor mount in place. I did not have the proper metric DEEP socket, but I did have a 7/8 that fit well. Take the nut all the way off. If the car is on ramps, that is perfect, if on jack stands, be careful. Place a nice solid piece of wood under the oil pan and differential (all wheel drive) or just under the oil pan (RWD) in the best possible place. Then gently put some pressure on the jack with the piece of wood and make sure it is lined up properly before you start lifting. Once you are certain it’s in a good place, lift it up slowly making sure nothing is in the way. I say be careful if it’s on jack stands because when I lifted my motor it took quite a bit of suspension weight off and pulled the tires inwards before the motor actually lifted at all. Here is a photo of the wood and jack used on the oil pan. The wood was placed diagonally across the oil pan and also onto the front differential. The only difference between removing the cover on the passenger side VS the drivers is the metal wiring harness bracket is still in the way. Fortunately, with the bolts out, and the metal bracket separated from the plastic wiring bundle loom, there is plenty of space to work the socket into where the cover bolts are. With that in mind, take the coil packs out if you haven’t already and then start taking the cover bolts off. Once the cover is free, it will slide out from under all the wiring with minimal effort. But be careful to not force anything. Here’s this disclaimer again. This is the same as the driver’s side. Make sure to clean everything carefully. The engine mating surface, the cover itself, the bolts, Loctite the bolts, install new gaskets. Besides the wiring harness bracket reinstall, lower the motor and put the motor mount nut back on, put all the wiring harness back together, reinstall the battery tray, PCM plug, reinstall the power steering reservoir, PCV lines, strut tower brace last, coil packs, etc. IMPORTANT ONCE AGAIN: Don't start her up, let it sit for a while, overnight is best to let the thread locker set up. Some people say this isn't necessary, but I've never had a bolt loosen up doing it this way. When everything is back together and you've given her some time to 'heal up' fire her up and enjoy that leak free feeling. I did this roughly a month ago, and have not had a DRIP on my exhaust or anything since. It's awesome to not have that burning oil exhaust smell. I hope this helps someone out. I have used this forum so much , I hope I can repay someone somehow with this write-up. Holy crap nice write up! Wow this was nice, now I have a better understanding of the spark plug tube seals seeing it in a picture! I read nothing about unplugging the ECM, as the manual says. I would feel better not having to mess with that connection. Beggars cannot be choosers but wish you had the detail pic for the passenger side, the harness,engine mount. Thats the side I will eventually do, but lucky I have no gasket leak, just the one spark plug tube seal with a minimal leak, and now it looks like I will just keep and eye on that until it gets worse if that is all I have to worry about. I read nothing about unplugging the ECM, as the manual says. I would feel better not having to mess with that connection. !!!!! Never forgets like the X! Not to nit pick, but that's the TCM. On the N* I believe the ECM is on the other side. Your right Glake its the TCM not ECM, that needs disconnecting for the right side. Place a small amount of sealant at the split line (1, 2) of the right cylinder head and the right camshaft position actuator housing. Refer to Adhesives, Fluids, Lubricants, and Sealers . Yes you are correct on both counts, that is the TCM. And yes, that is the place to put some gasket maker. I had the worst leak at those areas. I will edit the write to say TCM. This is just an awesome post. It should be enlightening and helpful to many owners in the future. Fortunately I had Valve Covers replaced under GMPP Warranty at 43k last August, just prior to the expiration of the coverage. GMPP was glad when it expired, however they always held up their end of the deal. If I had your knowledge, youth and expertise I might have kept her. Two weeks past the warranty ending I traded for another GM Vehicle with a 4 yr/48k GMPP. I've been hesitant to do this job myself...... perhaps with the help of your post, I could get'r'done! Thanks everyone, if anyone has any questions I am more than willing to help out. It really isnt too bad of a job. Just make sure you have the time to do it. I like to go slow and make sure everything is taken care of. And Nascar, the engine only has 68k miles on it. She's an 04 but was only driven 24k miles in the first 9 years of its life. Little old man car. Mine has only 56,000 and I already have a leaking spark plug oil tube seal, bad compressor, faulty spare tire deployment, these trucks are not for the ones who cannot afford dealer maintenance.